We are always looking for quirky little photography-based gifts, and we just love these little key fob caps from Japan. While their won't help you capture that all important shot, they could make opening the door to your studio in the morning a little less mundane. 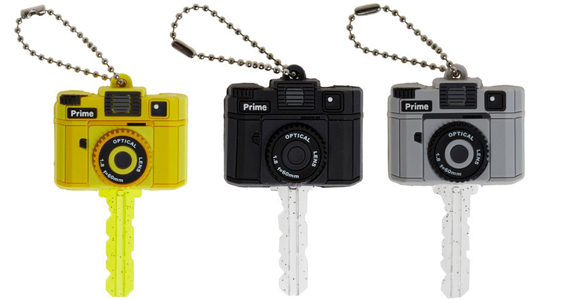 Created to look like the body of a camera, and available in three different colours - black, grey and yellow - the little faux-camera sits over the top of your key. ModCloth, who sell the 'F-Stop Searching Key Caps' online for $8.99 each say: "They're a sharp choice for the enthusiastic shutterbug, so simply slip your key through the top and allow its toothed end to exit through the bottom. "In a snap, the principal passkey to your photo studio or flat will flash to the foreground among a keyring full of unclad others."